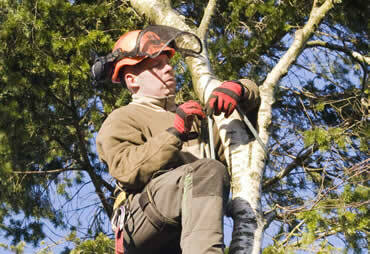 Situated on the border of three counties, Axe Tree Services offers all aspects of tree work in the East Devon, South Somerset and West Dorset areas. Often tree work is undertaken to allow greater light through and less wind resistance, thus maintaining the structural integrity of the tree. Further reasons for tree pruning could be to prevent damage to and from vehicles, buildings and pedestrians. We understand trees can play an important aesthetic and ecological role in our natural environment and as a result of this belief we are committed to carrying out tree management services to the highest standards, aiming to exceed our customers expectations. Fully qualified and well-motivated staff are committed to providing quality services across all our range of services. We aim to adopt the most up-to-date techniques and are constantly striving to improve are services. We aim to avoid impact to nesting birds and infringement of the Wildlife and Countryside Act 1981 and breaching the European Habitats Directive 1992/Nesting Birds Directive. If you would like a free, no obligation quotation by a fully qualified and insured tree specialist please give us a call on 01297 631256 or 07980 312 166. Alternatively complete our on-line form.